E. Jodene Carpenter 84 of Marion, died peacefully Friday afternoon September 15, 2017 at the Kingston Residence in Marion. She was born June 24, 1933 in New Bloomington to the late George and Mary Lois (Kinnamon) Nelson. On September 24, 1976, she married the love of her life, Murray D. Carpenter, and he died September 3, 2009, they are now reunited in heaven. She was also preceded in death by her grandson, Jeremy Adams. Surviving are her children: Rick Adams of Florida, Randy (Brenda) Adams of Waldo, Thomas (Mary Jo) Carpenter of Galena, Lynn (Ruth) Carpenter of Grove City, Dennis (Cathie) Carpenter of North Carolina, Karen (Brad) Moffitt of Radnor and Amy (John) Cooper of Delaware. Jodene was devoted to her family and dedicated her life to caring for them. In her youth, she was a member of “The Singing Lovelies”, who traveled the country performing at various events. 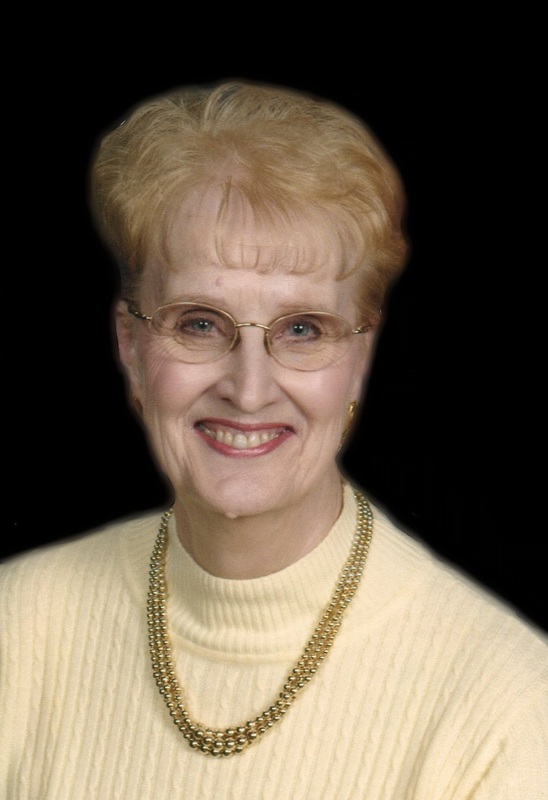 She was a former active member of the New Bloomington United Methodist Church and then the Emmanuel Reformed Church near Green Camp, she had also worked for Betty Zane Popcorn Co. and in the cafeteria at the former New Bloomington school. In later years, she volunteered for Turning Point in Marion, and along with Murray were longtime members of the Eagles and Moose Lodges in Marion. Our prayers to the family of Jodene. What a beautiful lady with so much class. She was so Beautiful! She and Murray were so in love and she is with him now. Her smile was always so comforting and loved her hugs. Prayers for comfort . Randy, so sorry for your loss. We are sending prayers to you and your family. My family sends our deepest condolences and are praying for all of you. May God comfort you and give you true strength during this time and continue to show His presence to you in the coming days. Your Mom's smile was beautiful and I'm sure she hasn't stopped smiling on those heavenly shores. God Bless you all. So very sorry for your loss. Stay strong. All we can do is love each other. Stay strong Karen and Butch.Little Clyde will miss her. My prayers, sympathies and love to the family of Jodene. I know her family will have the strength to endure this heartbreaking time. So sorry to hear your mom passed.i always enjoyed visiting with her. Remembering the perfect hair, gum chewing, opinionated, wonderful person my unofficial "Aunt"
Karen, your Mother is home. You were the BEST daughter! You really gave it your all to help her through the rough times. You, Uncle Butch, Brad and Your immediate family were very loving and really cared about Jodene! You and yours were there for her in the past 5 years when others were not! God Bless Your family!